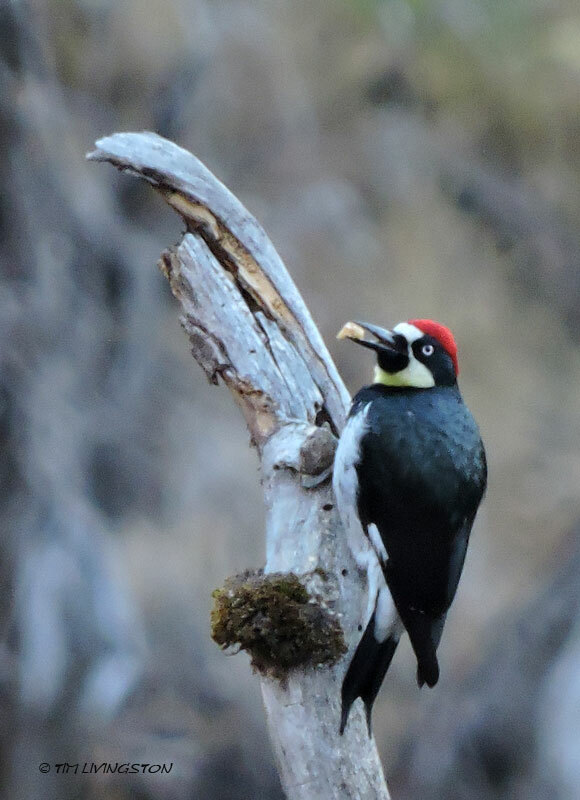 This entry was posted in photography, Wildfire, Wildlife and tagged acorn woodpecker, birding, birds, nature, nature photography, photography, wildfire, wildlife, woodpecker by foresterartist. Bookmark the permalink. He was flitting from snag to snag, just chowing down. A couple more grubs and he’d be walking from snag to snag! What a beautiful bird. Great shot! Love the title and the photo of a beautiful woodpecker. Amazing shot! Thank you Linda. They are energetic and resource birds, not to mention very noisy. They an interesting bird. They have some unique habits for storing food for the winter. They’re also the most common woodpecker around our house, so we see a lot of them. Thank you very much! happy to meet you!